The grinder turns very quickly, and it takes mere minutes to accomplish what could have taken hours before. (Grinding rice was my mom’s least favorite chore when she was a kid.) 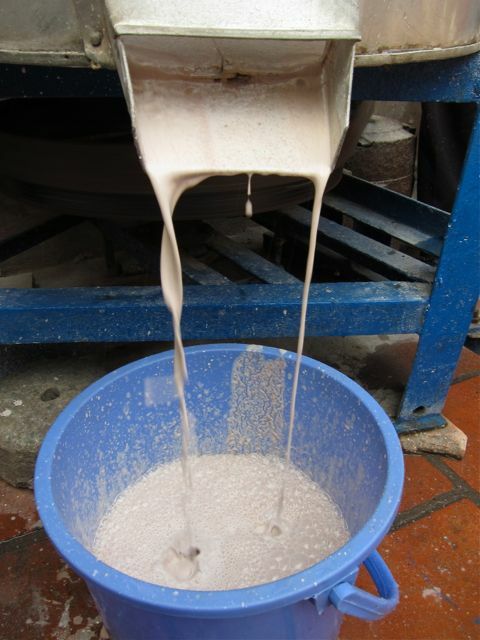 The batter has tiny flecks of delicate pink from the red rice bran.